General banking department aids in taking deposits and simultaneously provides some ancillaries services. General banking is the front side banking services department. It provides those customers who come frequently and those customers who come one time in banking for enjoying ancillary services. In some general banking activities, there is no relation between banker and customers who will take only one service from bank. On the other hand, there are some customers with who banks are doing its business frequently. SIBL (Social Islami Bank Limited) General banking is divided into five sections. Closing of an Account activities. Under this section, SIBL officer opens different types of account on the request of clients. The procedure of opening account is given below. Account opening From: To be filled in and signed by each account holder. Latest passport size photograph (2 copies) for each account holder attested by the introducer. Account payee cheque in favor of the account holder or cash deposit. Copy of Voter identity card/Ward Commissioner Certificate. Introduction of account holder (Mandatory): To be signed by introducer with ID and account number. 1 (One) copy of nominee’s photograph (attested by the account holder). Copy of voter identity card (nominee). After fulfilling above formalities, open an account for the client and provide the customer with a deposit book and a checkbook. Attested copy of valid Trade license. Attested copy of passport of the proprietor. Company seal and TIN (Tax identification Number) Certificate. Copy of Voter identity card. 1 copy of nominee’s photograph (attested by the account holder). Any company, business entity, debt of the govt. organization and trust or any person can open this account. This account is operated under Mudaraba principle. Any amount can be withdrawn or transferred to al Wadiah current account or any other accounts after placing a notice of seven days. Cheque books are provided for these accounts. The profit rate is comparatively lower. These are profit bearing deposit account. The drawings are restricted in respect of both the amount of withdrawal and the frequency there of so the payment of interest does not become any compensating for the banker. Some time the restrictions are ignored against the depositor’s written confirmation to forgo his claim for interest on the total balance for the whole month of withdrawal. Tk. 1, 00,000, 1,10,000, 1,20,000 or 1,25,000 or any amount multiple can be deposited under this scheme. The duration of the amount should be for Five years. The payable profit will become due after 1 month of deposit. But the amount will be deposited to account in the last week of the month. Generally, a depositor cannot withdraw the amount before 5 years. But in unavoidable circumstance the depositor can withdraw the amount and in that case the depositor will have to submit the duly filled application form of the scheme. The term and condition Mudarabah is same as general Mudarabah excepting one that under this arrangement the owner of the fund agrees keep the deposit remain with the Islami bank for a particular time period (3 months/6 months/one year/two year/three year). I. AL WADIAH Current Deposit A/c’s are opened proper introduction with minimum initial deposit fixed by the Bank. II. AL WADIAH Deposit is accepted on AL WADIAH principles which mean al Amanat with permission to use. According to this principle Bank can use the fund of the account along with other funds as per Shariah at bank’s own risk. Account holders will not share any profit/loss. III. The Law and regulation of Bangladesh, usual customs and procedures common to banks in Bangladesh including Islamic Banking Principles shall apply to and govern the conduct of account opened with the Bank. ii. The nature of account is donation type. iii. The accountholder operate the account for benevolent purposes. v. Highest weightage is given to this account in distributing profit. Inward cheques are those ones drawn the respective branch which have been presented on other banks and will be cleared/honored through the clearing house of Bangladesh Bank. For example the cheque drawn on SIBL Local Office Branch then the cheque is called inward cheque of SIBL Local Office Branch. Outward cheques are those ones drawn on other bank branches which are presented on the concerned branch for collection through clearing house of Bangladesh Bank. These cheques are called outward cheques. By OBC, we mean that those cheques drawn on other which are not within the same clearing house. Officer gives OBC seal on this type of cheques and later sends a letter to the manager of the branch of the some bank located in the branch on which cheque has been drawn. After collection of that bill branch advices the concerned branch in which cheques has been presented to credit the customer account through Inter Branch Credit Advice (IBCA). In absence of the branch of the same bank, officer sends letter to manager of the bank on which the cheques is drawn. That bank will send pay order in the name of the branch. This is the procedure of OBC mechanism. The scheduled banks clear the cheques drawn upon one another through the clearing house. 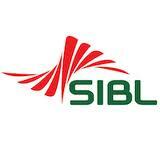 SIBL is a scheduled Bank. According to the Article 37 (2) of Bangladesh Bank Order, 1972, the banks which are the member of the clearinghouse are called as Scheduled Banks. This is an arrangement by the central bank where everyday the representative of the member banks gathers to clear the cheques. The place where the banks meet and settle their dues is called the clearinghouse. The clearinghouse sits for two times a working day. In SIBL, cheques of its customers are received for collection from other banks. In case of receiving cheques, following points should be checked very carefully. The cheques should not carry a date older than the receiving date for more than 6 months. In that case it will be a ‘stale cheque’ and it will not be allowed for collection. Again the date of the cheque should not be more than 1 day’s forward than the receiving date. The name mentioned in the cheque should be some in both sildes of the pay-in-slip and it should be the same with the name mentioned in the cheque. The cheque must be crossed. A “Cheque” is a bill of exchange drawn on a specified banker and not expressed to be payable other wise than on demand. (According to section-6, Negotiable Instrument Act, 1881). I. An open cheque which can be presented for payment by the holder at the counter of the drawer’s bank. II. A crossed cheque which can not be paid only through a collection banker. Crossing cheque: A cheque is said to be crossed when two transverse parallel lines with or without any words are drawn across the face. Crossing may be general, special or restrictive. The cash section of any branch plays very significant role in general banking department. Because, it deals with most liquid assets the SIBL Local Office Branch has an equipped cash section. This section receives cash from depositors and pay cash against cheque, draft, PO and pay in slip over the counter. Any people who want to deposit money will fill up the deposit slip and give the form along with the money to the cash officer over the counter. The cash officer counts the cash and compares with the figure writer in the deposit slip. Then he put his signature on the slip along with the ‘cash received’ seal and records in the cash receive register book against A/C number. At the end of the procedure, the cash officer passes the deposit slip to the counter section for posting purpose and delivers the duplicate slip to the clients. I. Date of the cheque. Then he checks the cheque from computer for further verification. Here the following information is checked. After checking everything, if all are in order the cash officer gives amount to the hold and records in the paid register. The cash section of SIBL deals with all types of negotiable instruments, cash and other instruments and treated as a sensitive section of the bank. It includes the vault which is used as the store of cash instruments the vault is insured up to TK. 60 laces. If the cash stock goes beyond this limit, the excess cash is then transferred to Head Office. When the excess cash is transferred to SIBL Head Office the cash officer issues IBDA.